Take the DeNovix Challenge and Evaluate DeNovix in Your Lab! The following offers are valid for US customers. Similar offers are routinely available in other territories from a DeNovix Authorized Distributor. Promotion – Take the DeNovix Challenge! Customers have spoken! When scientists evaluate one of our instruments in their lab, they choose DeNovix. We are offering promotional pricing to all U.S. customers and invite scientists to sign up now to Take the DeNovix Challenge. 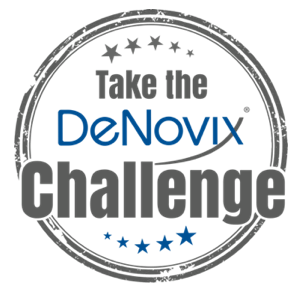 Sign up now to Take the DeNovix Challenge! DeNovix offers discounts for customers who plan to replace any Thermo Fisher NanoDrop ™ instrument with a DeNovix DS-11, DS-11+, DS-11 FX or DS-11 FX+. DeNovix will provide equal or better pricing for any valid Thermo Fisher™ NanoDrop™ One quote. NanoDrop™ is a trademark of ThermoFisher Scientific. Qubit™ is a trademark of ThermoFisher Scientific and its subsidiaries.